Want to mount a White Walker trophy head to your wall? All you gotta do is kill one...and figure out how to keep it from shattering into a billion shards of ice when you do. OR! 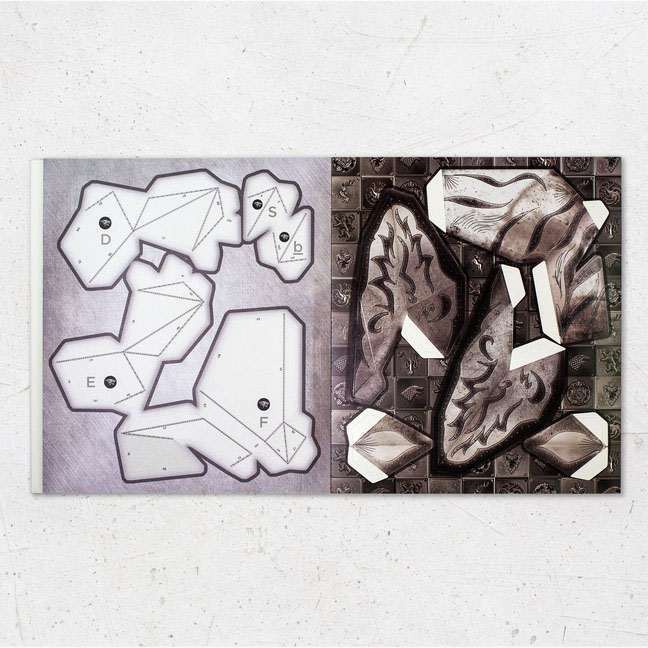 You could grab one of Wintercroft's White Walker Mask books, pull out your craft supplies, and get to assembling the contents: a geometric 3D Army of the Dead head; and the wall mount you'll need to display it as a glorious trophy for your efforts. 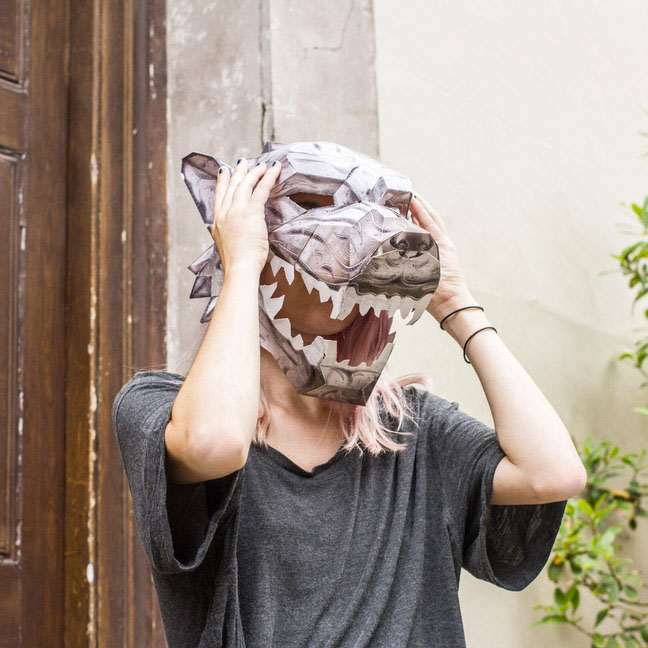 You can also wear the assembled mask. For each of the 6 final Game of Thrones episodes, and for Halloween, and to work as a subtle hint about how you feel about people scheduling meetings at 4 p.m. on a Friday. 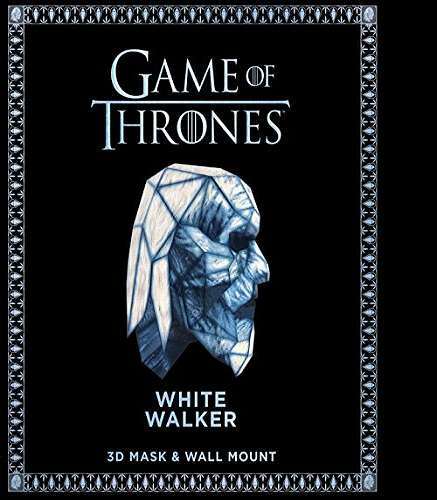 Unless you have the cash to splurge for this White Walker beaut, which would probably accomplish the latter much, much better. 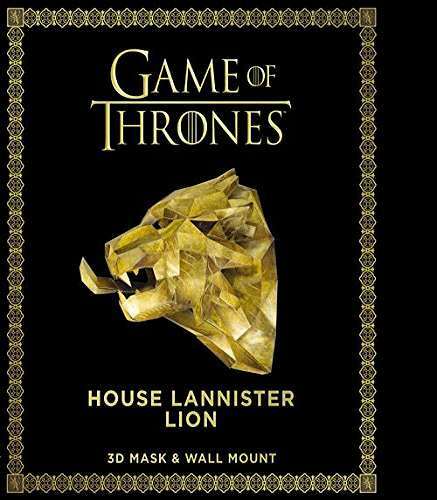 Wintercroft has made 4 different 3D masks / mountable trophy heads for Game of Thrones fans. Even though Ned would have been the obvious choice, they've opted to stick with the Direwolf sigil in their representation of the Stark family. 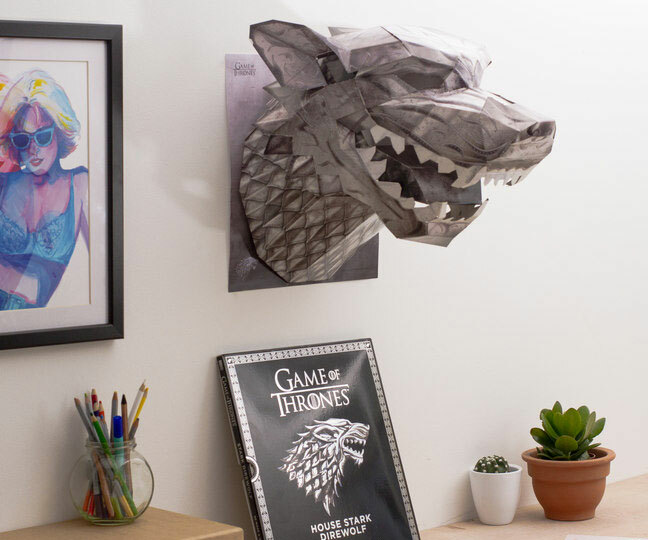 And at printing, the Direwolf was the one of the Wintercroft releases available for immediate purchase. 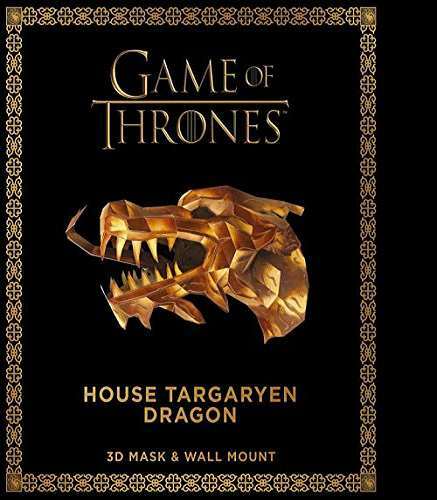 House Lannister's Lion, House Targaryen's Dragon, and the White Walker head were open for pre-orders, with shipment beginning early- to mid-October.